Thanks to Ashley Tieman, mom and former missionary from Okayama, Japan, for this post. For most new parents, the hardest part about having a newborn is adjusting to a demanding new schedule. But for children of foreign parents in Japan, there's a long process to getting your new little one legally registered with Japan and your home country. Hopefully this guide will help! Please note: this guide was written based on the experiences of two American parents in Okayama prefecture and written to give you a general idea of the process. Procedures may vary in different areas, and may be different depending on your nationality, so please double check with your ward office, regional immigration bureau and embassy or consulate. Also, if you are a mixed-nationality couple, please note the process is different! This guide can give you a general feel for the process but you will need to seek out additional information for your specific circumstances. The high-tech Japanese toilet. That's what so many of you may have heard about Japan. While others of you might be wondering why I'm writing this as a how-to. 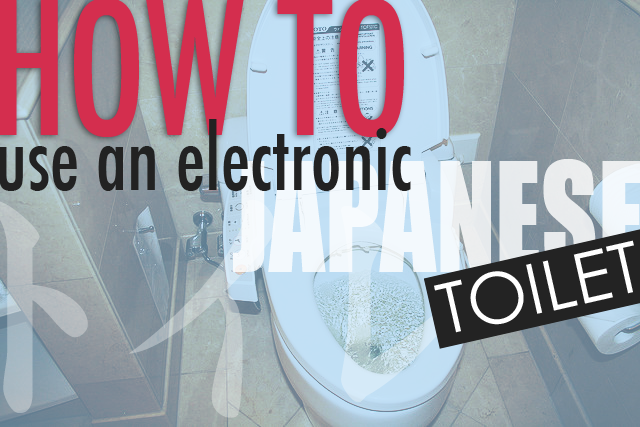 But considering how many blog posts I've seen by people who travel to Japan and inevitably get doused by one of these toilets, I believe a "how-to" is in order. My first encounters with these toilets weren't much to speak of, except for the fact that I sometimes spent far too long trying to figure out how to flush, as I assumed if there was a panel with that many buttons, one of them must be the flush button. After desperately pressing them all and being surprised or nearly squirted, I later saw, embarrassed, a normal-looking handle on the back of the toilet itself, just like in the States. If you have lived in Japan without a car, chances are good you've been stuck somewhere before. Japan has, for the most part, a useful public transportation system. Bullet trains zoom all over the country. Local trains service even more areas, while buses transport people in both cities and the countryside. And yet, sometimes buses aren't accessible. Sometimes the train station is too far. And sometimes you need to go somewhere with luggage or a box or just don't want to brave another downpour. You can call a friend and ask for a ride, but if your friend is busy, you'll need an alternative: call a taxi. Most city train stations, and even some smaller ones, have taxis sitting outside waiting to take passengers wherever they need to go. But if you want one to pick you up at home, or from another location, you'll need to call for one. a) Next time you're at the train station nearest your home, check for a phone number on the taxis sitting outside of the station. Make a new contact in your cell phone with this number. b) Search for タクシー (takushii) plus your city name online. The results should show a few places you can call. 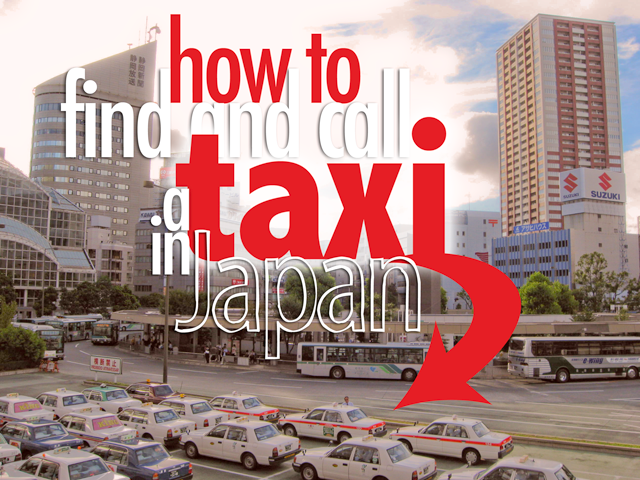 c) Search a site such as taxitaxi.jp or taxisite.com. The sites are in Japanese, but fairly easy to use. Click on the prefecture you're in. On the page that opens, click on the city. Sometimes you may also need to click on a ward. A list of taxi companies will show up--you can try any of these (and put one or more into your cell phone contacts so you have them handy). d) Alternatively, if you're at a place of business, you might be able to request someone there to call a taxi for you. Hotels will do this for you (if you're a guest). Say, "タクシーをよんでください" (takushii o yonde kudasai). Omukae ni kite moraemasu ka? It's July and I'm sure most of you are in the thick of the stick! Sticky humidity that is. Unless you're in Hokkaido. Regardless of where you are, you need to be prepared for what summer brings. Humidity, bugs, bug bites, mold, nasty smells, sunburns, and of course, fun. We've got you covered. Read on for more. The rainy season is more or less over now in Japan this year, but many of these tips will help you beat the heat and humidity of a Japanese summer. The mosquitoes are obnoxious and the roaches are disgusting, so how do you deal with them? Read on below. Plus tips to find medicine for those itchy bites. Not sure how to work your air conditioner or dehumidifier? Look no further. Also tips on how to deal with the ever-present mold, and why you should check out bamboo charcoal and activated charcoal. What is "Calorie Off" and why should you care? It's summer, so enjoy it! Go swimming, even with a tattoo! Travel around Japan without breaking the bank! Go to the movies! Hike some trails! QA: Swimming with a tattoo? 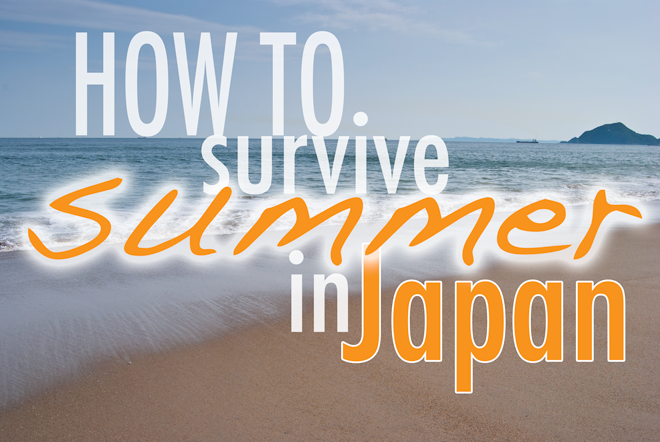 What other topics would you like to see covered on how to survive summer in Japan? Thanks to Nihongo Master for being SiJ's July sponsor! Learn Japanese online and study with your friends using Nihongo Master. I've tried a lot of tools, but I love their unique concept.